Two Buddha statues in Vietnam have been recognized as record-setting in size by the Asia Book Of Records. Two Buddha statues, in Cam Mountain in An Giang Province and Ta Cu Mountain in Binh Thuan Province, have been recognized as record-setting in size by the Asia Book Of Records. The information was confirmed on March 2 by the India-based Asia Book of Records organisation. 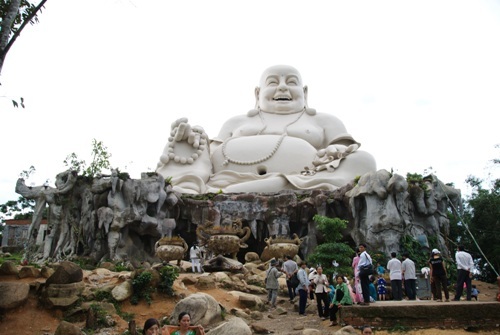 The Maitreya Buddha statue on Cam Mountain set the record as the biggest Maitreya Buddha statue on the mountain and the 'Buddha's entering Nirvana' statue in Binh Thuan Province made the record as the longest statue on mountain. The representative from the Asia Book of Records will visit the two statues by the end of April to award the certifications. 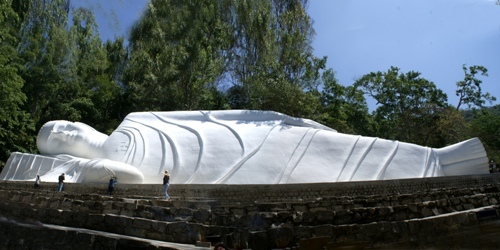 The reclining Buddha statue with his back against the cliff, is 49 metres long, 12.2 metres high, from the shoulder to the ground. The statue was built between 1963 and 1966, and designed by architect Truong Dinh Y.